To tell the story of Earth’s last wild bonobos – along with chimpanzees, humankind’s closest genetic relatives – author Deni Béchard travelled to the Democratic Republic of Congo, where the Bonobo Conservation Institute, a small non-governmental organization, works to protect habitat critical to the animals’ survival. What the author uncovers after spending considerable time with politicians, conservationists, expats, and locals, is a tale of an endangered species in crisis unfolding alongside the more well-known narrative of humanitarian strife in the region. 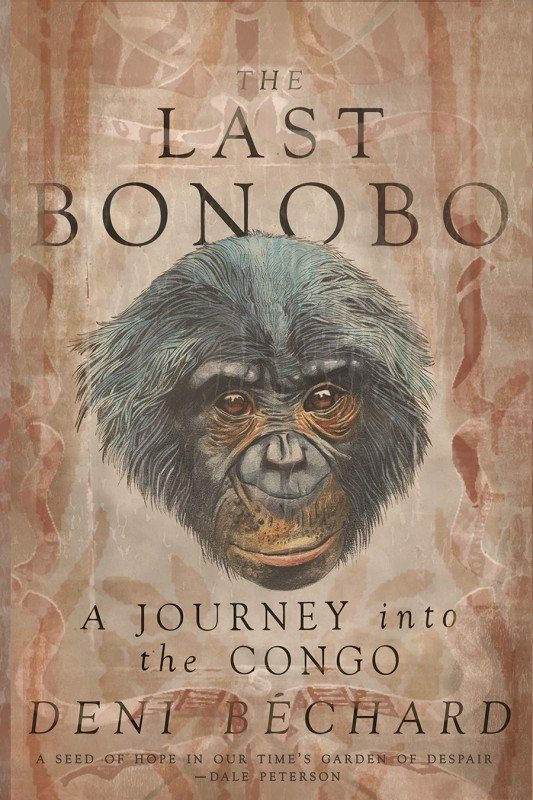 In The Last Bonobo, the main character isn’t found among the charismatic animals of the title, or even the people working to protect them – it is the Congo itself. The first half, which functions as a rollicking travelogue, situates the reader in the region. Béchard provides a lesson in evolutionary biology, the sorry state of infrastructure in the DRC, the author’s own impressions of the place and the people, and the broad history of conservation efforts in the region. From there, using a combination of interviews and research, Béchard details the area’s long history of war and unrest, which he blames on the legacy of colonialism, the drive to develop natural resources, and bad leadership. This is where The Last Bonobo shines. By providing the context for the environmental crisis, Béchard also shows how BCI’s work in the region eschews traditional development models. He also showcases the leaders who are driving positive social change. We learn that the existential threats to bonobos are a symptom of instability in the region as a whole; only through building stability do BCI and others have a hope of preserving vital habitat and species. Because this book (notwithstanding its title) is ultimately about politics large and small, rather than confining itself to the story of the bonobos, readers who are looking for a volume about primate behaviour in the wild may be disappointed. Far more importantly, though, readers will encounter a thoroughly researched, well-reported examination of development efforts in a fascinating region of Africa. Béchard has done a masterful job.